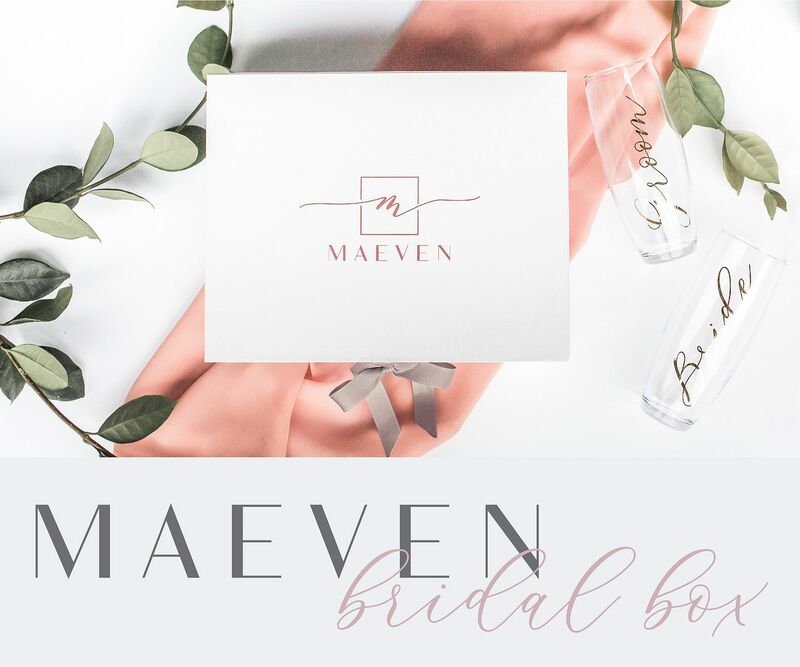 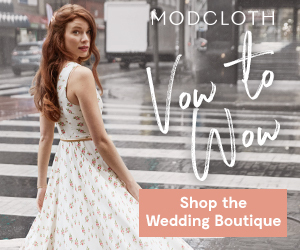 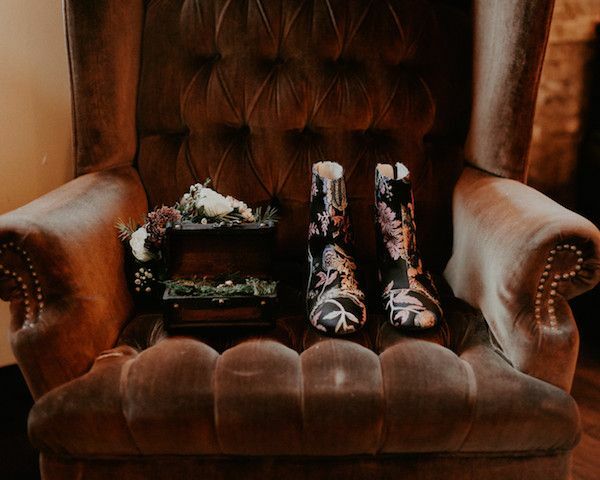 With moody snaps from Ashley Guice Photography and gorgeous florals from vendor guide member — Moelleux Events, today's real wedding is so chic you'll think you're looking at a styled shoot. 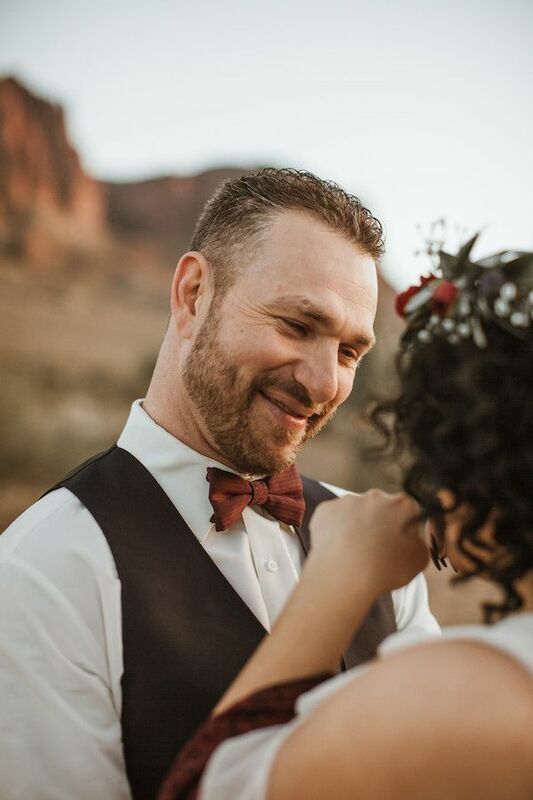 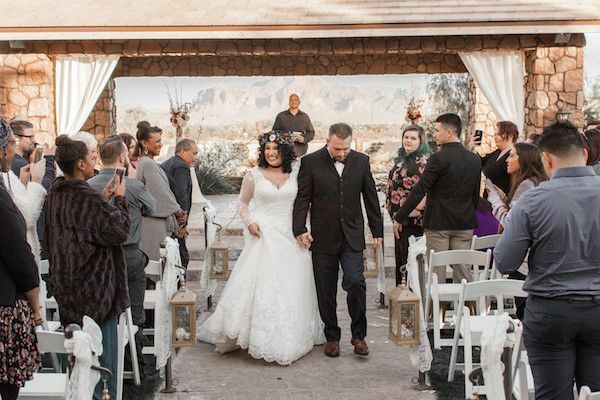 Jasmine and Eddie were married on 12.20.2017, in a venue that had a spectacular view of the Superstition Mountains. 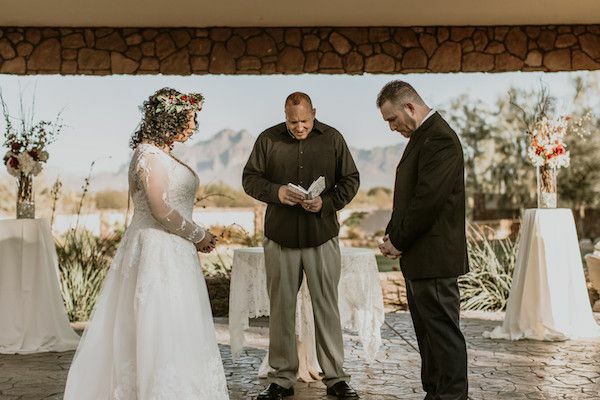 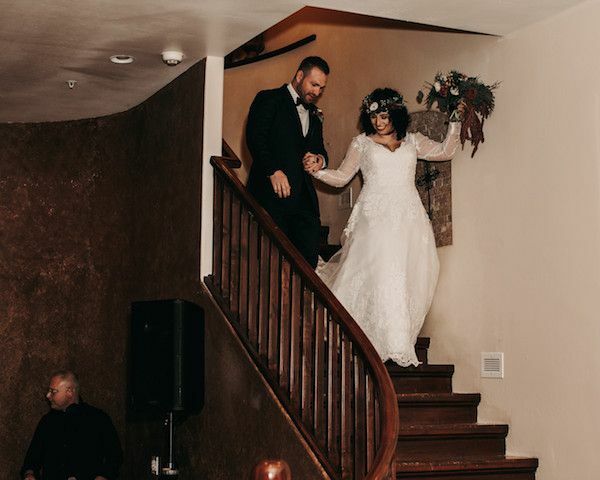 The venue was Superstition Manor and their ceremony was an intimate one including Eddie's daughter, family, and their nearest and dearest. 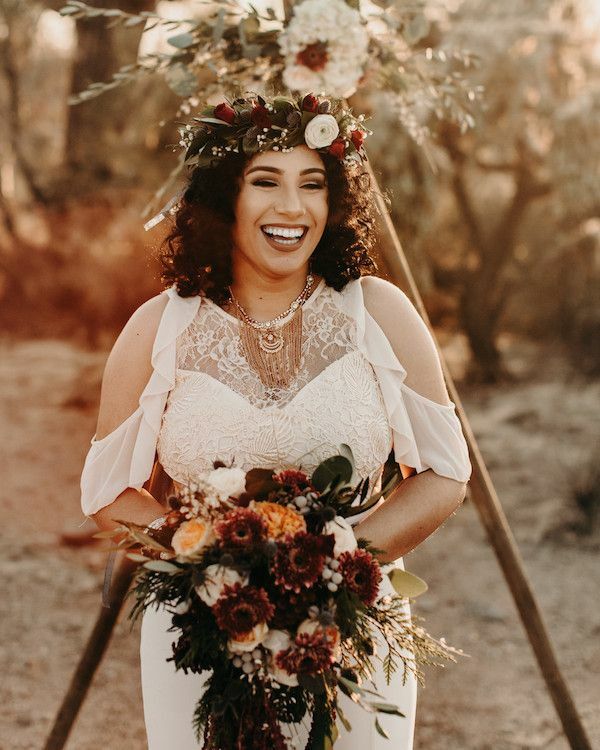 From the floral designer, "But let's rewind 40 days earlier to a call I received from Jasmine introducing herself, telling the story of her vision. 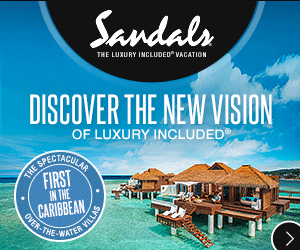 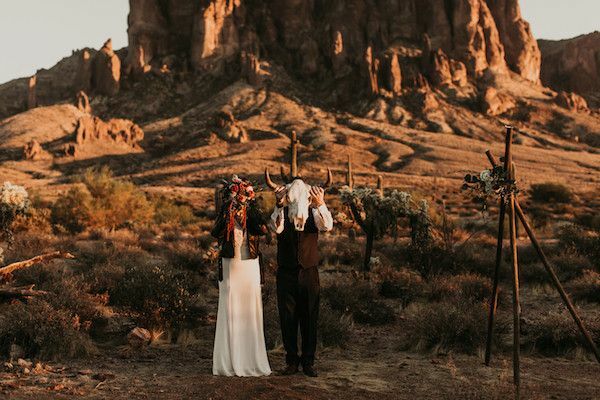 The desert, the two of them, vows; the perfect desert elopement." 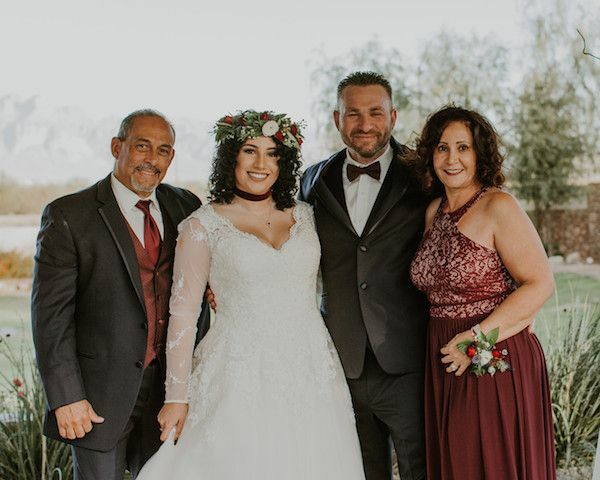 "Jasmine's mom asked for her only daughter to have a traditional ceremony when Jasmine explained her vision. 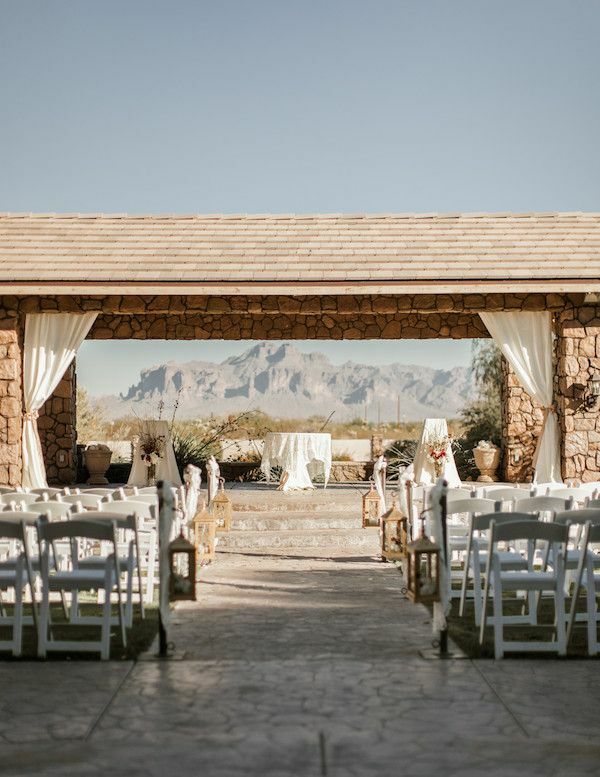 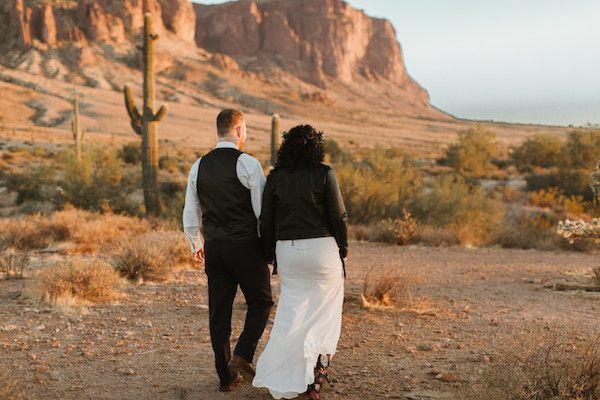 Jasmine's mom found a venue with desert views and it was booked!" 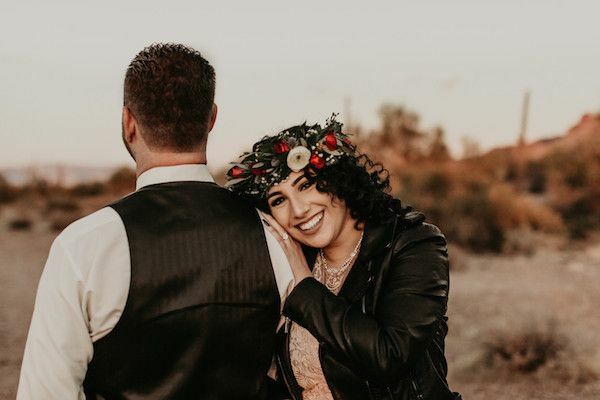 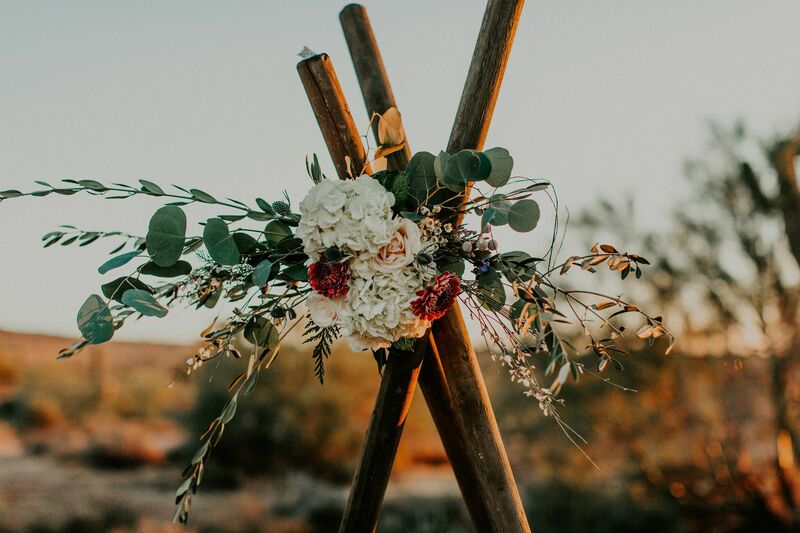 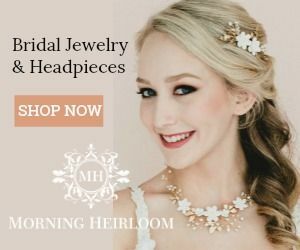 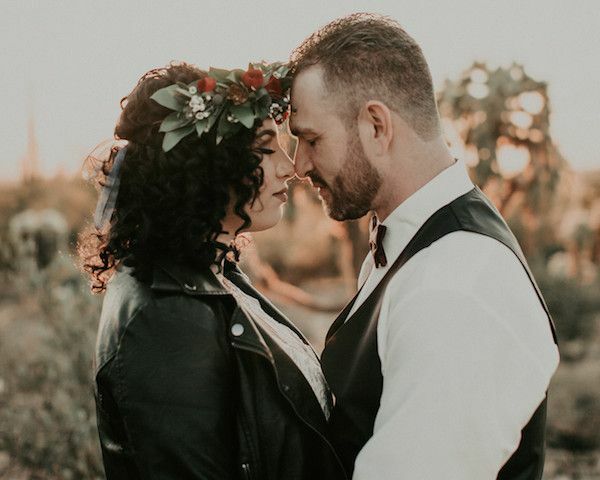 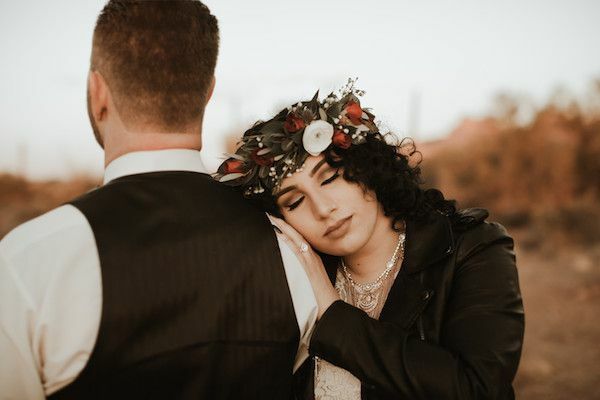 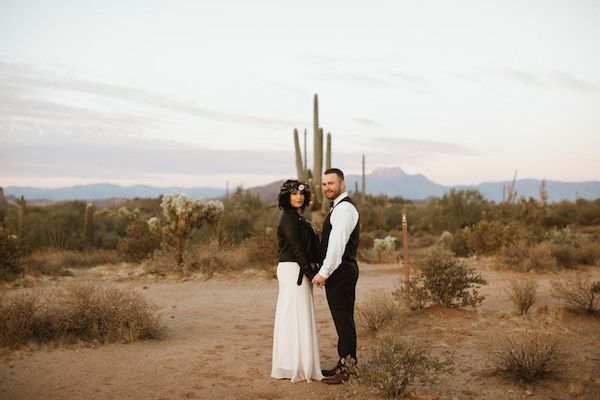 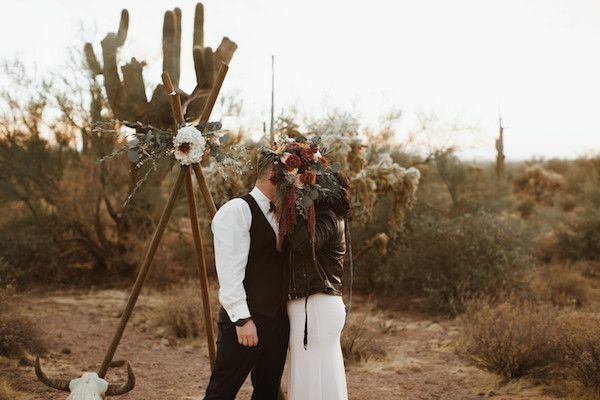 "Jasmine spoke with her photographer, explaining the story and they created a plan, the perfect desert elopement, that Jasmine wanted so badly, would happen." 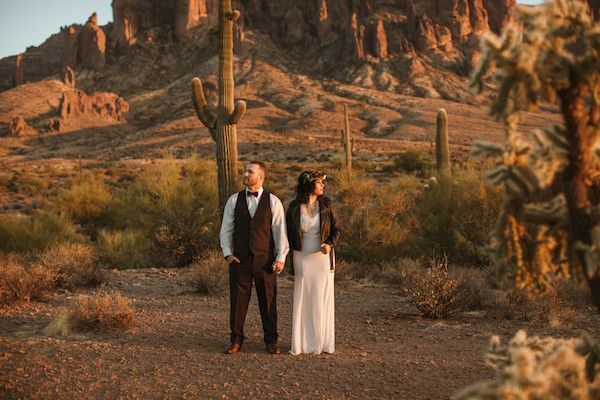 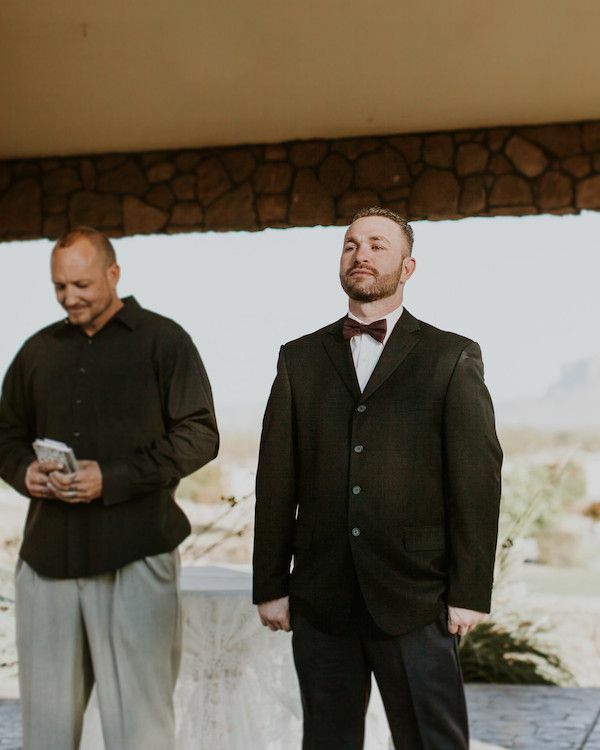 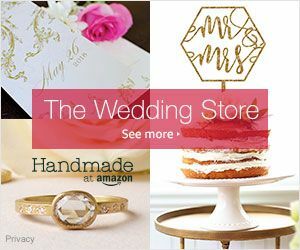 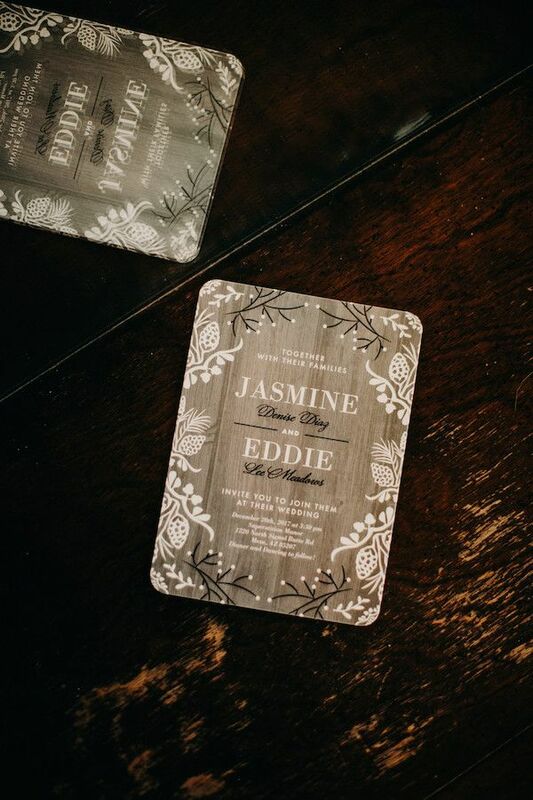 "It was decided that during cocktail hour at the traditional venue; Jasmine, Eddie and Ashley (her photographer) would head out to the desert, with a view of the mountains and the two of them would share the personalized vows, just them." 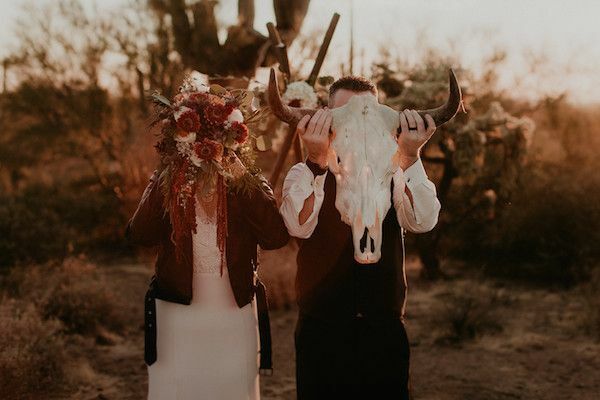 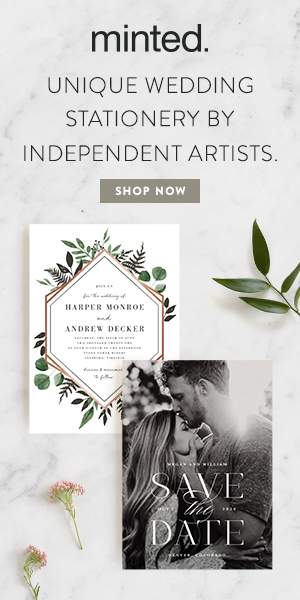 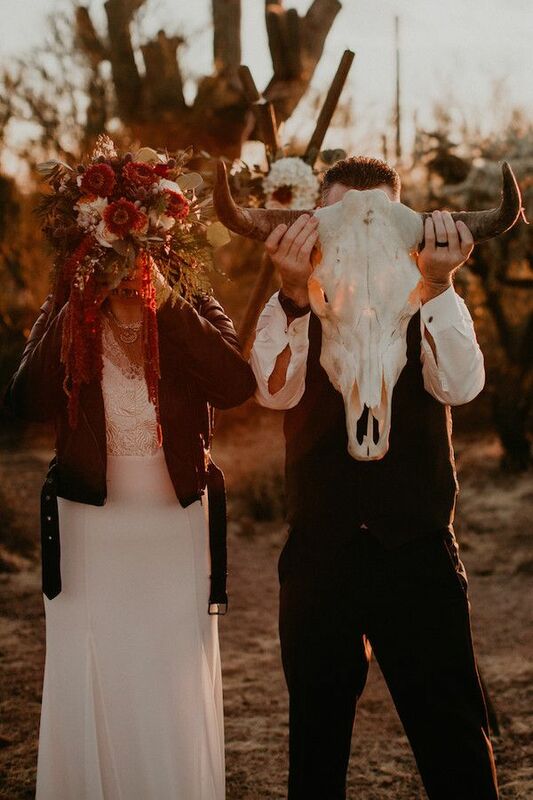 "Ashley set out to create the perfect boho backdrop, a quick trip to the local hardware store and she the items needed to make a wooden teepee, add in a cow skull and the setting was ideal." 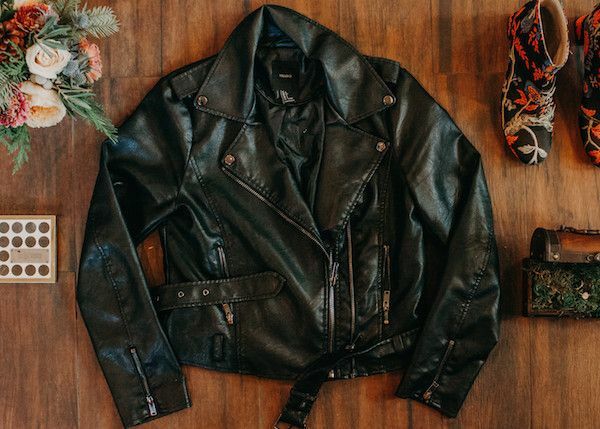 "Jasmine added in a dress and completed the look with a leather jacket! 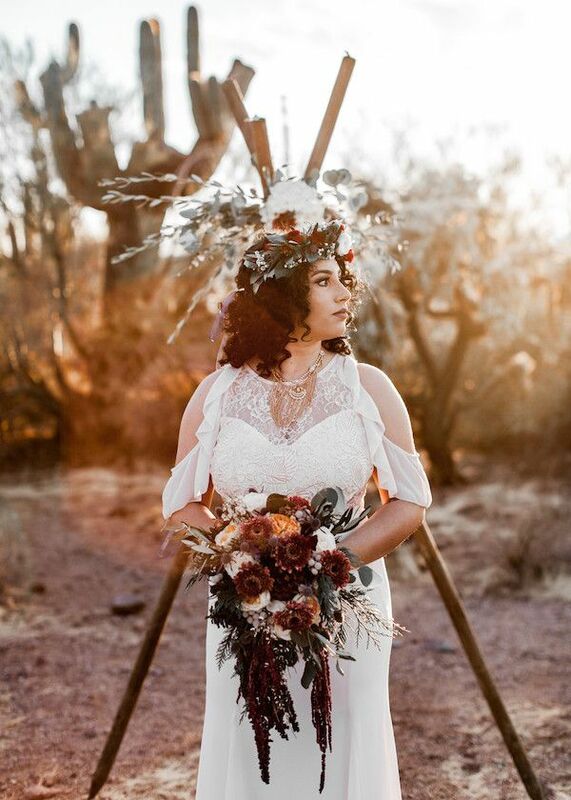 Jasmine told me what they were planning and I left a floral spray that the photographer could easily add to the wooden teepee." 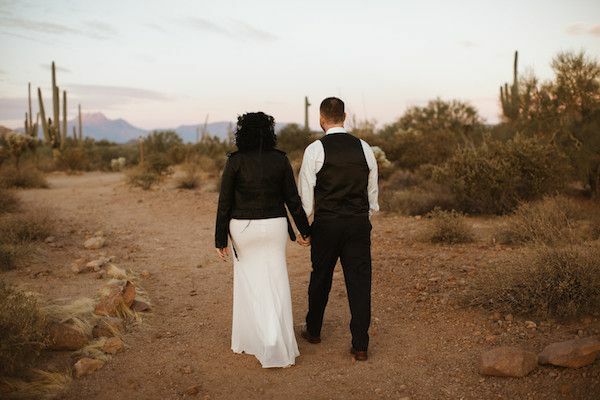 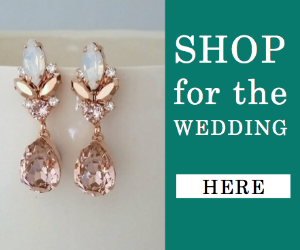 "Jasmine was one of the coolest brides! 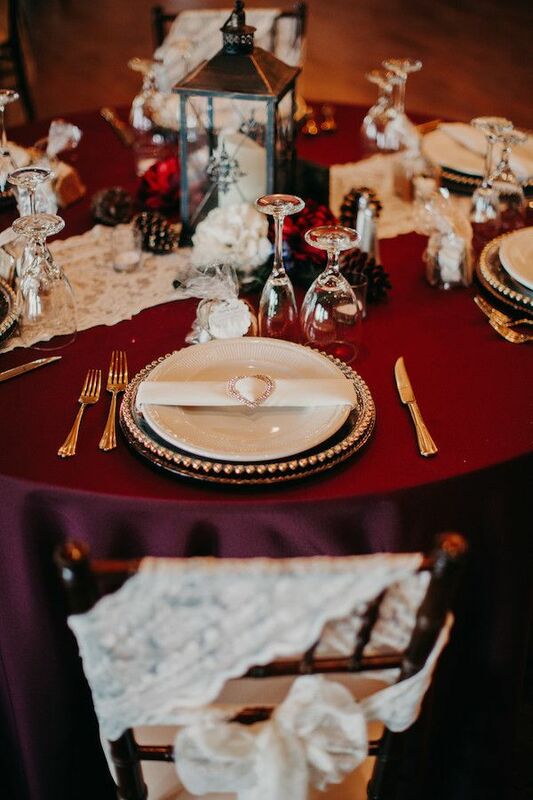 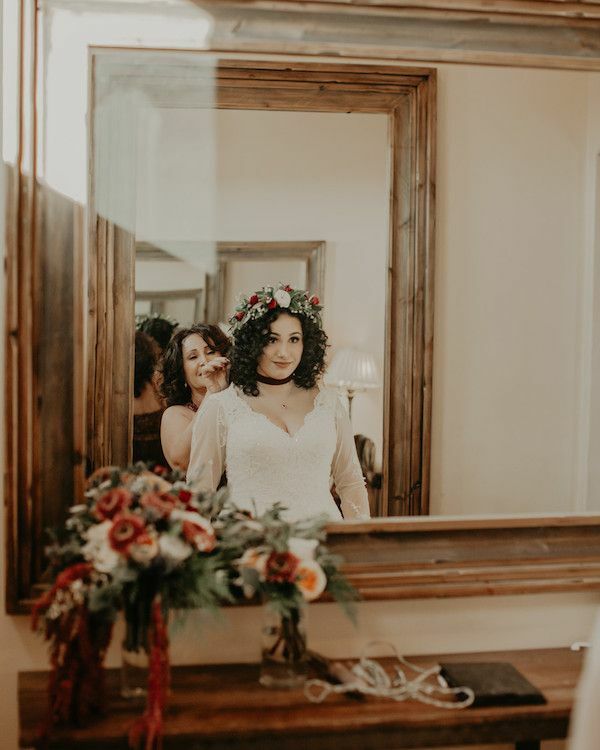 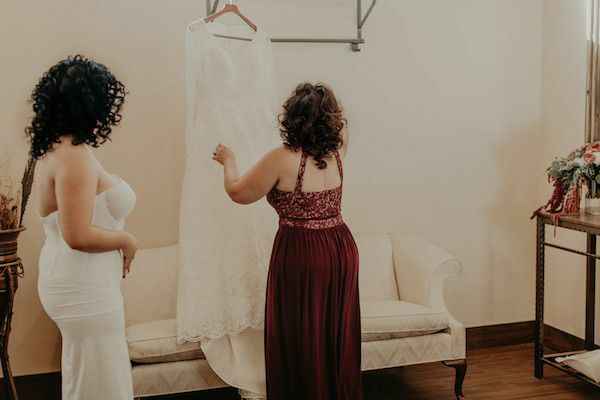 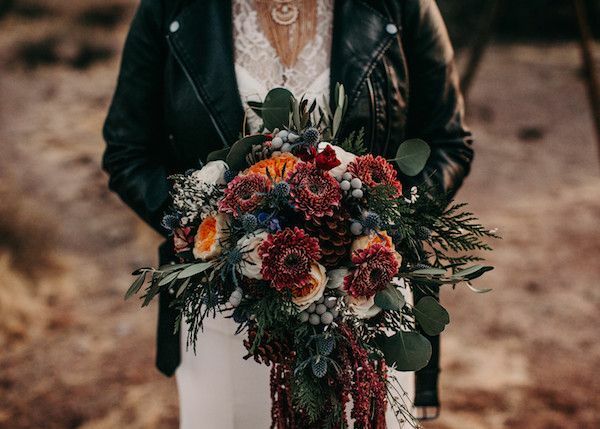 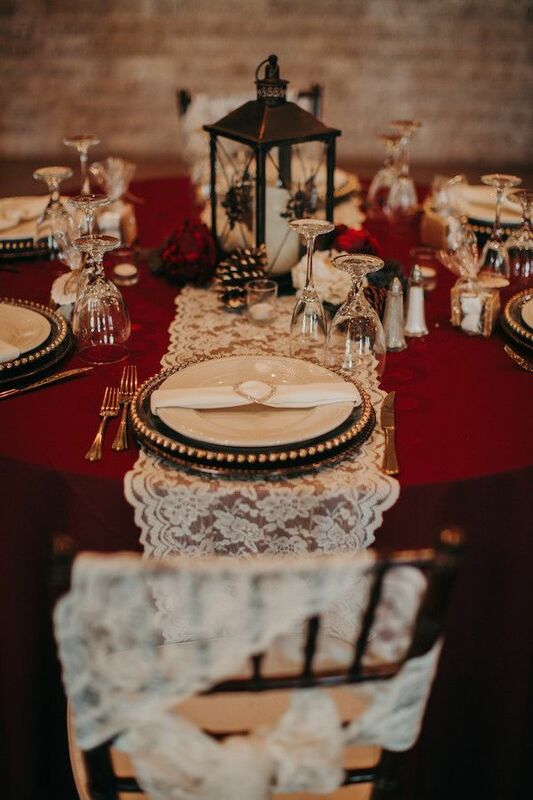 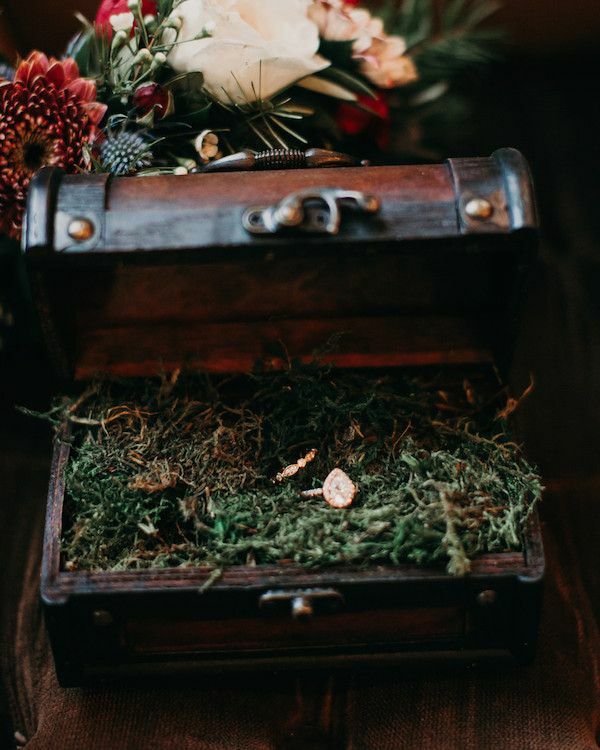 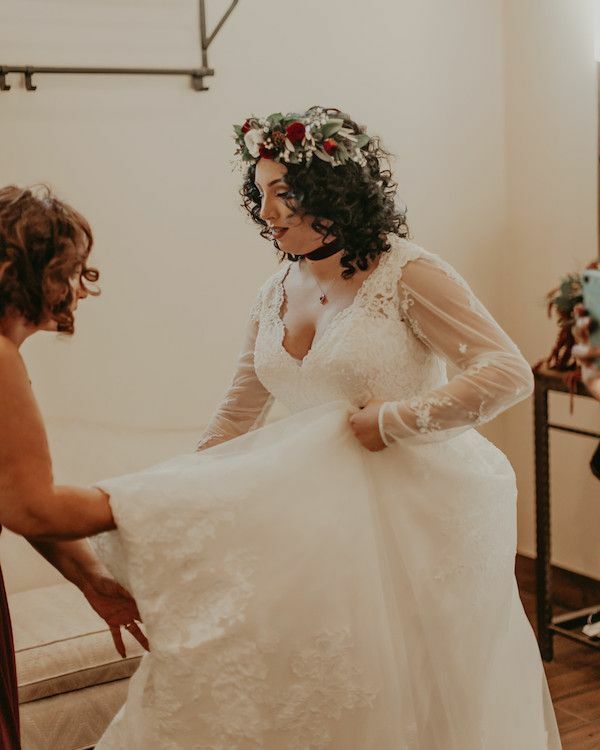 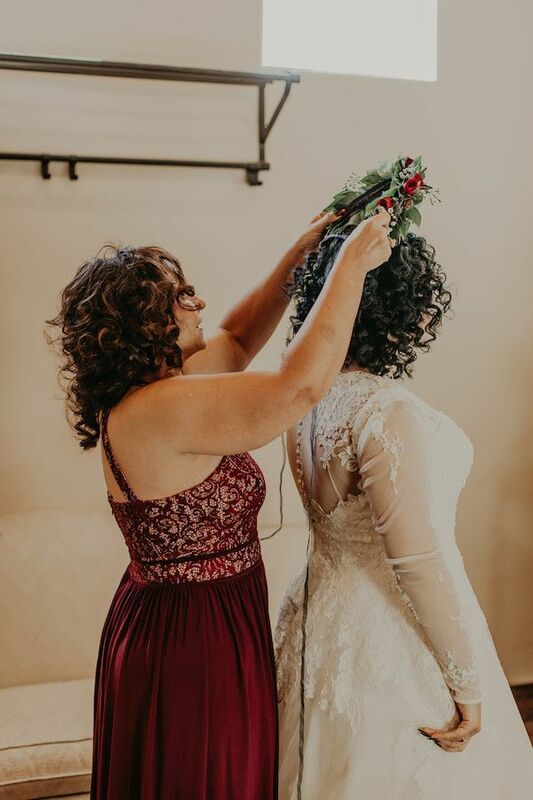 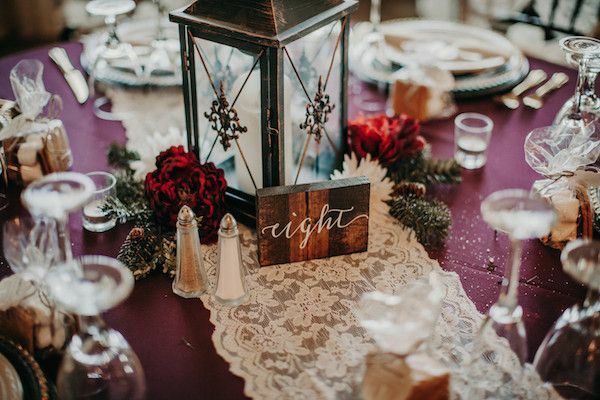 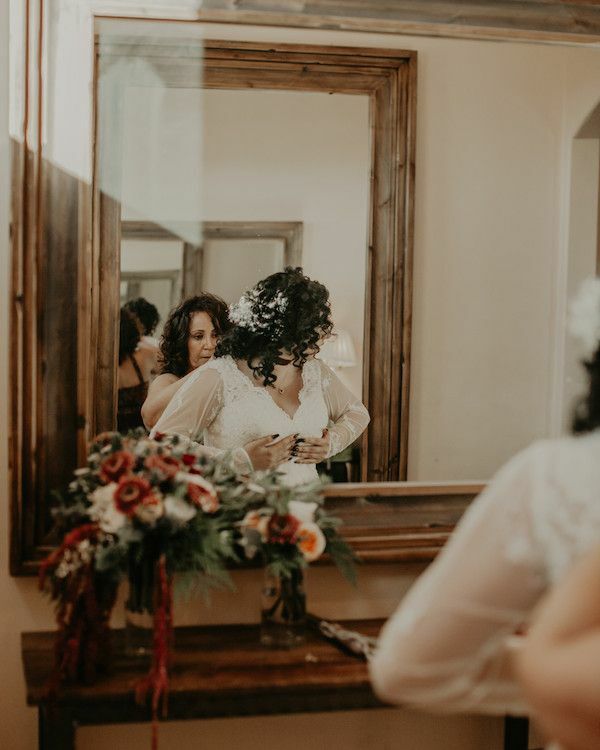 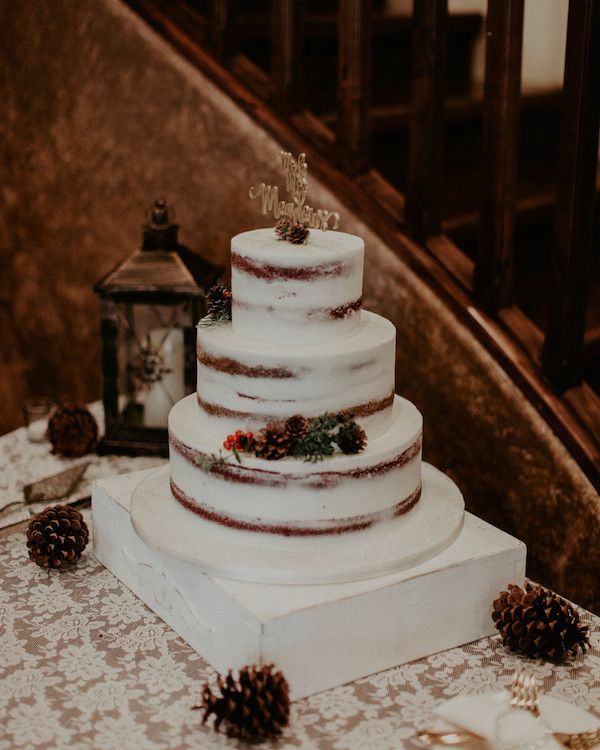 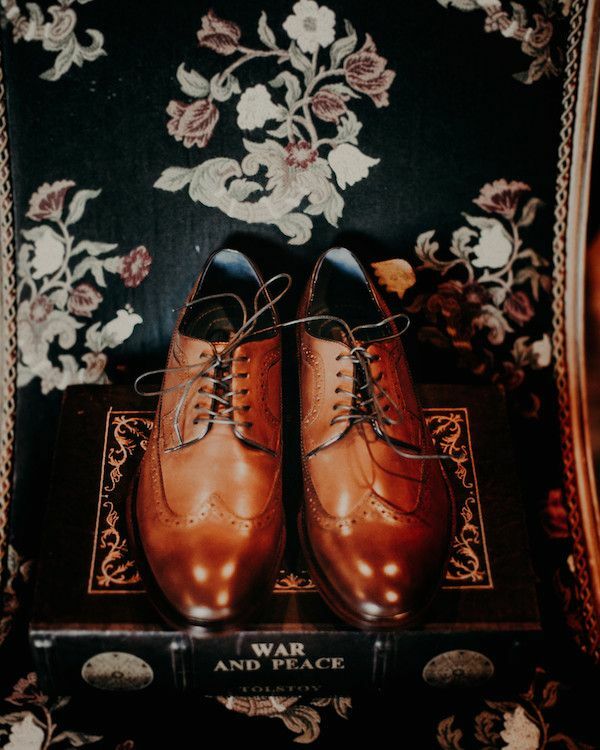 Her wedding nails were a deep burgundy, her wedding boots were absolute perfection and she added pinecones to all the flowers to add in the winter element." 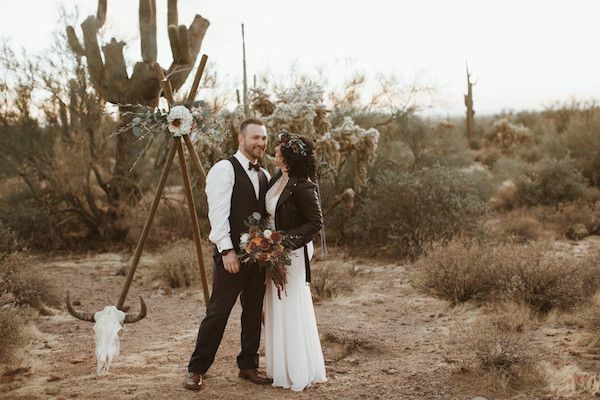 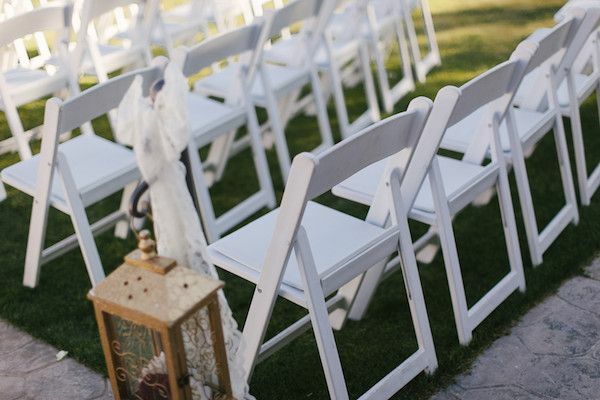 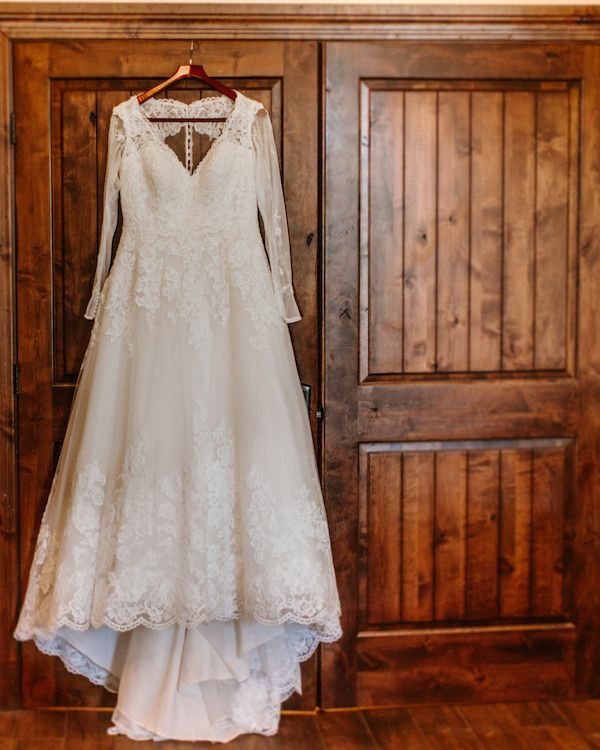 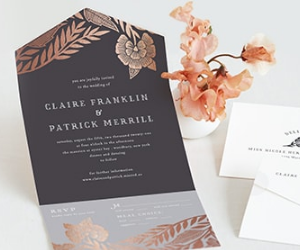 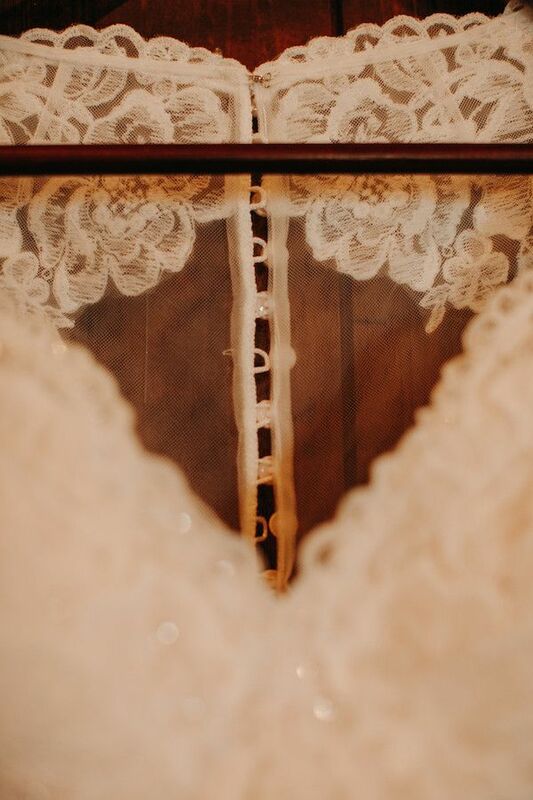 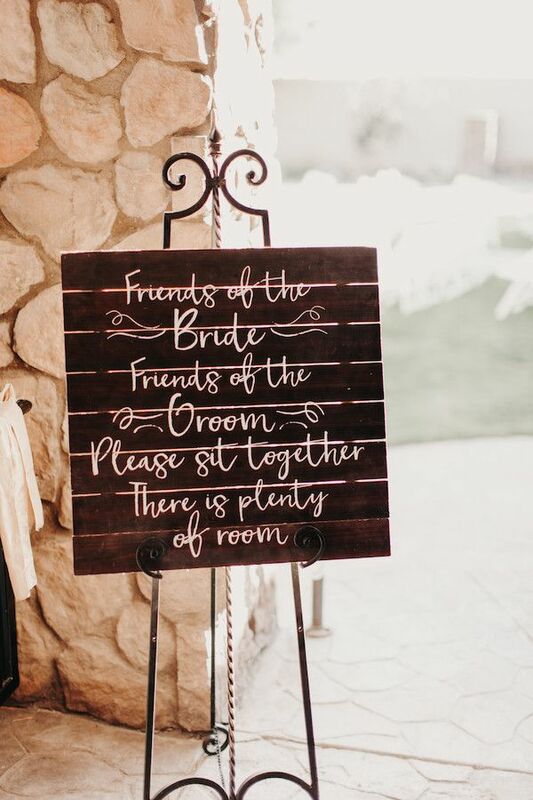 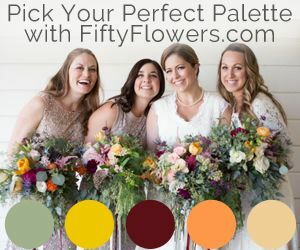 2 Comments " Bohemian Wedding in Mesa, Arizona "
I love these colors, great session. 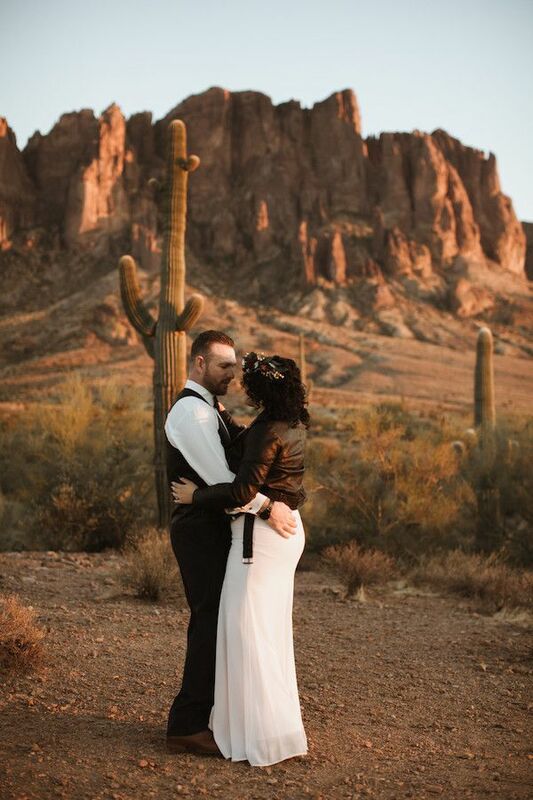 Great photos in nice soft light. 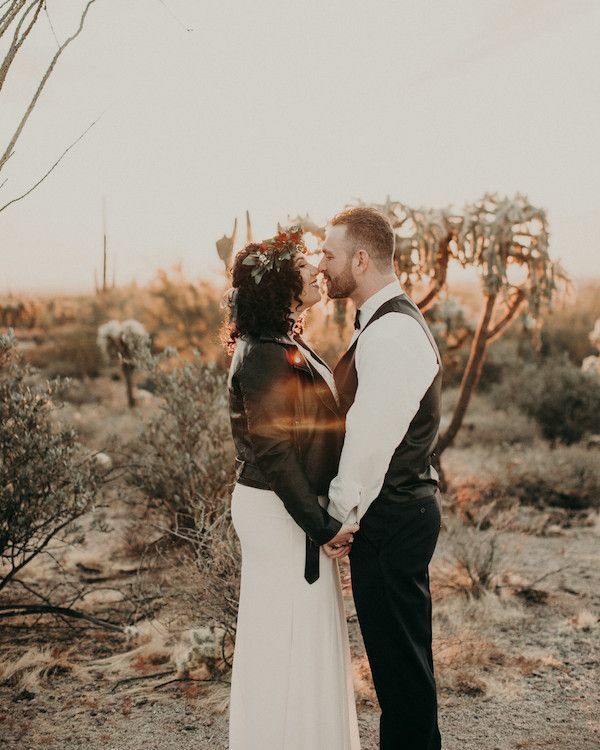 I love the location.